Hunter Industries is among the world’s leading manufacturers of irrigation equipment for turf, landscape and golf courses. The company produces water efficient products for residential and commercial use, including pop-up gear-driven rotors, spray sprinklers, valves, controllers and weather sensors. Look around your community. 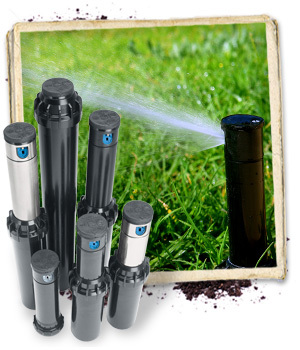 You will see Hunter sprinklers applying water effortlessly and efficiently to home lawns, public parks, commercial centers, schools and universities recreational sites, golf courses, freeway medians, sports fields, even race tracks and tennis courts. Chances are, your favorite football, baseball or soccer team plays on a field irrigated with Hunter equipment. All our systems are installed by our trained and experienced staff. We stand by the quality of every Hunter Sprinkler System we install.